Home Archive par catégorie "2017"
Marta Kwiatkowska is Professor of Computing Systems and Fellow of Trinity College, University of Oxford. She led the development of the PRISM model checker (www.prismmodelchecker.org), the leading software tool in the area and winner of the HVC Award 2016. Applications of probabilistic model checking have spanned communication and security protocols, nanotechnology designs, power management, game theory, planning and systems biology, with genuine flaws found and corrected in real-world protocols. 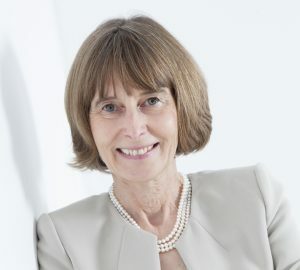 Kwiatkowska gave the Milner Lecture in 2012 in recognition of « excellent and original theoretical work which has a perceived significance for practical computing » and was awarded an honorary doctorate from KTH Royal Institute of Technology in Stockholm in 2014. Her research has been supported by the ERC Advanced Grant VERIWARE « From software verification to everyware verification » and the EPSRC Programme Grant on Mobile Autonomy. She is a Fellow of ACM, Member of Academia Europea and Fellow of EATCS. Lawrence Paulson – Proof Assistants: From symbolic logic to real mathematics?